Phenylpiracetam is often claimed to be the most potent nootropic among the racetams group. It seems to have a higher efficacy rate even when compared to other powerful racetams, like aniracetam and oxiracetam. And just like the rest of its nootropic siblings, phenylpiracetam is not a supplement you’d normally find at a local store like Walmart or CVS. Even Amazon don’t allow racetams and other nootropics on their platform. But that doesn’t mean you’ll have to source it from some shady online portal, because it is still legal to purchase phenylpiracetam over the counter as long as it is not intended to treat or prevent any disease — you know, the usual FDA warning. The following are seven trustworthy online stores where you can buy phenylpiracetam capsules or pure bulk powder. Note: Excellent customer service. Third-party lab testing. Based in the USA. Note: One of the largest and most trusted US-based nootropics vendors. Commendable quality and service. In-house testing. Note: Genuine company offering quality products at low prices. Only ships to the USA and Canada. Note: Not as popular as other sellers but a worthy alternative. They don’t ship to Europe. Note: A Swedish vendor that ships worldwide. They keep low stocks and some products run out of stock frequently. Note: One of the oldest vendors in the industry. Not so popular these days and their support can be unresponsive sometimes. Note: A Spanish vendor that ships worldwide. No third-party tests. Their prices are higher than most other stores. Phenylpiracetam is a synthetic chemical that belongs to the racetams group. It is a phenylated analog of piracetam and both substances have similar nootropic effects, although phenylpiracetam is reported to be much more effective. In Russia, where phenylpiracetam was developed, it is approved as a prescription medication and sold in 100mg tablets under the brand name Phenotropil. It is typically used to treat epileptic seizures, memory disorders, depression and anxiety. 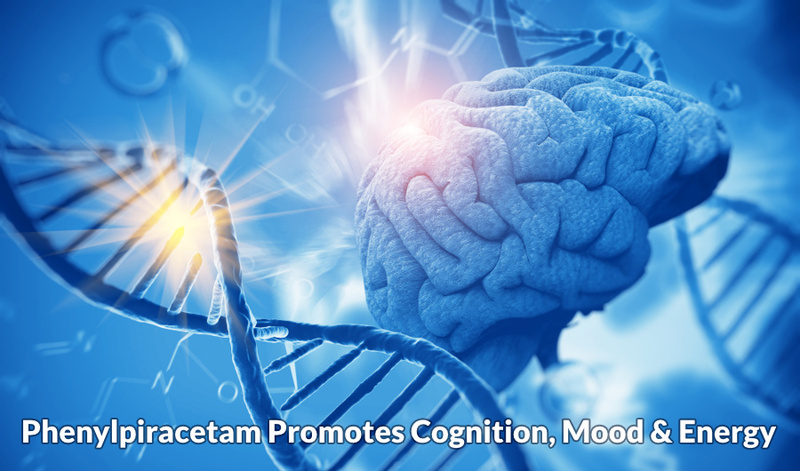 Phenylpiracetam is more commonly used as an off-label nootropic or cognitive enhancer, which many people around the world use to boost mental performance. There is no scientific evidence to date showing that this substance is beneficial for healthy people. Phenylpiracetam is not approved by the FDA for medical use, nor is it approved in most of the Western world. But since it is not scheduled or regulated, it is often sold over the counter as a supplement. With a big stretch of the definition of a “supplement”, you can call it one. Although more technically, it is considered a research chemical. In short, it is legal to buy phenylpiracetam without a prescription in the USA and other countries. Some countries have stricter laws than others regarding the import of supplements or drugs from a foreign country, so make sure you comply with laws applicable to you. Importing small quantities that are intended for personal use usually goes smoothly. It is important to keep in mind that phenylpiracetam does not work for everyone. Some consumers reported not experiencing any positive results from it. Due to the lack of human clinical trials, the optimal dosage has not been determined yet. The approved brand version (Phenotropil) comes in a standard 100mg dose per tablet. The ideal, recommended dose is 100mg taken up to three times a day. Most users experience best results with a daily dose of 100-200mg. It is not advised to exceed 300mg a day without consulting with a physician or pharmacist first. If you take a total dosage of 300mg a day and still notice no effect, then this probably isn’t the right nootropic for you. Overdosing may be counterproductive as it may result in cognitive impairment and other adverse effects. It is not known if phenylpiracetam builds tolerance, but in any case, it is better not to take it every day. Take it every other day with a couple of days off every week to avoid possible tolerance buildup. Taking a choline supplement, such as Alpha-GPC or Citicoline (CDP-Choline), seems to reduce the headache and some other side effects associated with phenylpiracetam and other racetams. Previous PostKavinace Ultra PM Review, Price & Where to Buy?